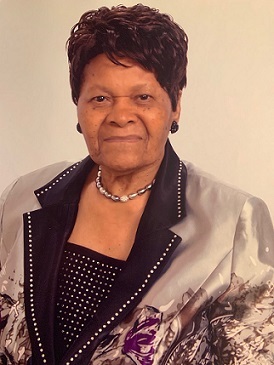 Obituary for Ruth Rice | House of Wheat Funeral Home, Inc.
RICE, Ruth, 89, born June 9, 1929 to John and Annie Kate Hancock Roberts in Atlanta, Georgia, went home to be with the Lord Friday, April 5, 2019. She is preceded in death by her parents; loving husband, Hazel Rice; 4 sisters and 3 brothers. She is survived by her daughters, Evon (Larry) Coleman, Katherine (Elwood) Pridgen, Sylvia (James) Addison, Barbara Rice, Marsha Rice; sister, Irene Malcolm, 8 grandchildren, 18 great grandchildren, and a host of nieces, nephews, other relatives and friends. Home-going celebration will be held 11:00 a.m. Saturday, April 13, 2019 at Restored Life Ministries, 1117 Innisfallen Ave., Springfield, OH. Visitation 9:00-11:00 a.m. Family will receive friends 10:00-11:00 a.m. Arrangements entrusted to House of Wheat Funeral Home, Inc.